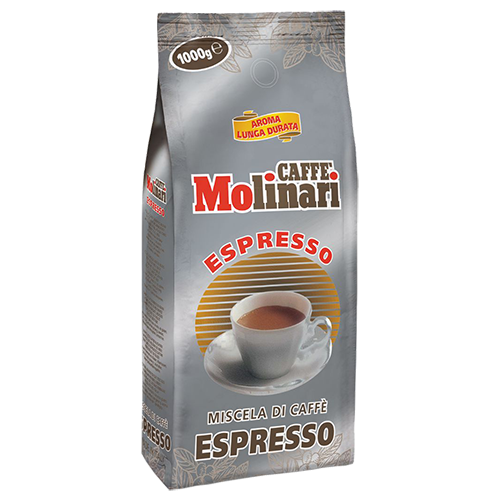 Molinari Espresso coffee beans has a soft but still rich and caracteristic taste with a nice medium dark crema. The beans are almost exclusively from Central America. Molinari Espresso is ideal for connoisseurs of aromatic coffee.